The international airport of the Kilimanjaro region is called Kilimanjaro International Airport (JRO). The airport is situated halfway, an 1 hour drive, between Moshi and Arusha. Connections from Europe are possible directly via Amsterdam with KLM, via Istanbul with Turkish Airlines or from Frankfurt with Condor (only during high season). Other convenient options are available with Qatar Airways via Doha or Ethopian Airlines via Addis Ababa. Currently, there are no direct flights from North America to Kilimanjaro Airport. If you are travelling from North America, you can either travel with KLM transiting in Amsterdam. As well as via Delta Airlines in combination with KLM or Lufthansa. Alternatively, there are also connections from all major airports in cooperation with Ethiopian Airlines. There is also the possibility to book flights to Istanbul and fly from there directly to Kilimanjaro Airport with Turkish Airlines. From Sao Paulo / Brazil there are flight connections via Amsterdam with KLM and from there, you will fly directly to Kilimanjaro Airport. If you are flying from/via Bangkok the best option is Ethiopian Airlines with a stopover in Addis Ababa to Kilimanjaro Airport. Alternatively, you can also fly via Nairobi with Kenyan Airways. From Shanghai flights with Qatar Airways via Doha are a very convenient option to get to Kilimanjaro Airport. Coming from Australia and New Zealand? Qatar Airways via Doha is a very convenient way to travel. There are more links with international airlines, where you have to change planes at least two times. Dala-dalas are the small mini buses that operate in and between towns as well as rural areas. Besides foot this is the most inexpensive way of getting around Tanzania. Prices are fixed from 100 TZS to 400 TZS for town rides. Dala-dalas make a lot of stops and are never full, there is always some space to squeeze in. The route is painted on the front and back of the dala-dala and also shouted by the conductor. Boda bodas are motorcycle taxis and the most common transportation for locals besides the dala-dalas. The boda boda drivers can be quite aggressive in traffic. Unfortunately a lot of the road accidents in Tanzania involve boda bodas. Taxis are a very convenient way for town rides starting from 2000 TZS (1,5 USD). Please negogiate the price before as taxis in Tanzania have no meters. Only use taxis recommended by your hotel or from official taxi stands. If your unsure of the price ask the receptionist of your hotel or other locals. Please always ask beforehand if you want to photograph or film people, and accept it, if they reject (e.g. for religious reasons). The Maasai on the way to the Serengeti in general charge a small fee for taking a picture of them. Please ask for the price beforehand. Pictures and videos of border stations, military and police posts as well as government buildings are forbidden. For an overview of nationalities that do not require a visa, please click here. Please consult your doctor regarding health measures, vaccinations and components of your first aid kit. Viva Africa Tours is not liable that the listed vaccinations are complete; rather, these are guidelines. In general, the following vaccinations are recommended for Tanzania: In addition to your primary vaccination (Diphtheria, Tetanus, Polio, Whooping Cough) you should get vaccinated against Hepatitis A and Typhoid. Further vaccinations recommended are Hepatitis B; Rabies; Cholera and Yellow Fever. Please inform yourself about the different Malaria Prophylaxis medicine, which is recommended throughout the whole year for all areas below 1800m. Visitors from countries with yellow fever must also present a valid yellow fever vaccination upon arrival. If you are planning a trip to Zanzibar from the Tanzanian mainland, you must also have a valid Yellow Fever vaccination. Tanzania’s currency is the Tanzanian Shilling (TZS). 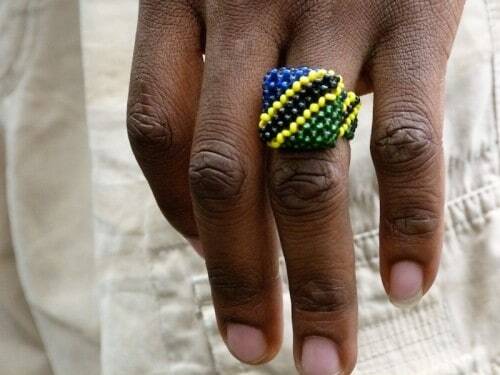 The Tanzanian Shilling can only be purchased in Tanzania, the import and export of it is illegal. It is therefore advisable to bring along US Dollar and exchange at a forex bureau or bank. However, forex bureaux also accept all major international currencies, including the Yen and other East African currencies. Traveller Checks can be exchanged at branches of commercial banks. All major credit cards (Visa, MasterCard and American Express) are accepted in the bigger hotels, shops and restaurants. The cash withdrawal at ATMs is possible with all major credit cards as well, though Visa has the highest acceptance. Tanzania is too close to the Equator to experience a summer and winter as most people are used to in Europe and Northern America. Instead the seasons split into a dry and rainy season. The rainy season is divided into the short rains from November to December and the long rains from March to May. Especially the higher regions of Northern Tanzania are far cooler than most people expect. Places like Ngorongoro Crater rim and the Usambara Mountains can be chilly at night and foggy in the morning. The Serengeti plains and Ngorongoro Crater floor are warmer, but far from hot, temperatures are chilly in the morning and after dawn. Tarangire and Lake Manyara national parks are situated on a lower altitude and are warmer than the other places, especially in the afternoons. The higher areas of Mount Kilimanjaro and Mount Meru have alpine weather and temperatures drop below zero degrees. Best time to travel: The most popular months are January to February and the high season June to October. A small and cosy budget accommodation in Moshi. Popular among travellers as pre and post stay for safaris and Kilimanjaro. Prices start from 8 USD per person per night and include breakfast, laundry and wifi. Park View Hotel is in the centre of Moshi town. Rooms are spacious and they have a pool to relax. Air-conditioned and mosquito nets. Rooms start from 75 USD for a single room per night. equipped with mosquito nets, wifi is available. Inexpensive hotel with no frills. Hotel with a beautiful big garden and pool. Perfect to relax after a safari or Kilimanjaro trek. Wifi is available. Arusha and Moshi offer a wide selection of eateries with a multitude of Indian restaurants. There is also a good selection of continental food such as pizza, pasta, Mexican and Thai. Seafood is an excellent choice for the costal region and islands. Tanzania’s local dishes are very heavy in meat and come with either one of these five staples: rice, chapati, ugali, chips or cooked plantains. The most common meat are chicken, goat and beef. Very popular dishes are Chipsi Mayai (french fries in an omelette), Pilau (a rice dish with meat and flavoured with a lot of spices), Ndizi Nyama (a stew made out of vegetable, cooked plantains and meat) and Wali na Maharage (rice with beans). Tanzanians love their chai, a tea cooked with all sort of spices such as ginger, served black or with milk. Besides that sodas such as Coca-Cola, Sprite and Fanta are widely spread. Stoney Tangawizi is a very delicious ginger beer by The Coca-Cola Company. Sodas are fairly inexpensive and cost less than 1 USD. Travellers should avoid the tap water and instead use bottled water. Beer and Konyagi are the main alcohol beverages. There are around 10 different lager beer available in Tanzania of which Kilimanjaro, Serengeti, Safari, Castle and Tusker are the most popular. The price for a beer in a local bar is around 2500 to 3000 TZS (1,5 USD). Konyagi is a spirit made out of sugar cane. Unmixed you won’t be too pleased about it, but blended with soda such as tonic water it is quite tasty and very cheap. Please note, that on public holidays all banks, forex bureaux and government offices are closed. Good Friday, Easter Monday, Idd-ul-Fitr, Islamic New Year and the Prophet’s Birthday fall on different dates every year, so they are not listed in the table.